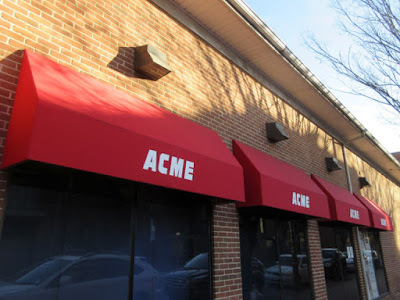 Will continue as an Acme for at least the next 10 years! 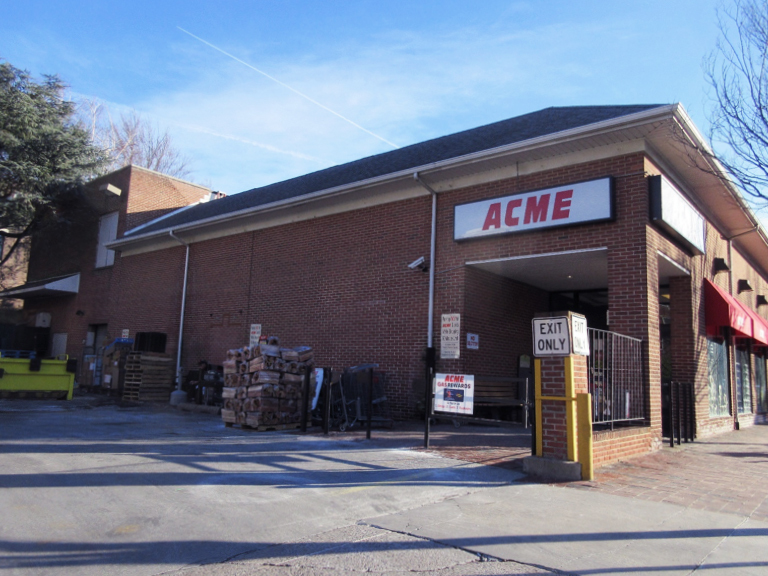 A wrecking ball will not be knocking down this Acme after all! The store was to shutter about a year from now to make way for a 5 story condo building. 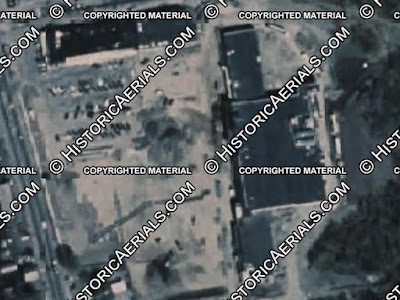 The developer of the proposed building faced fierce opposition from the community and has officially abandoned the project. 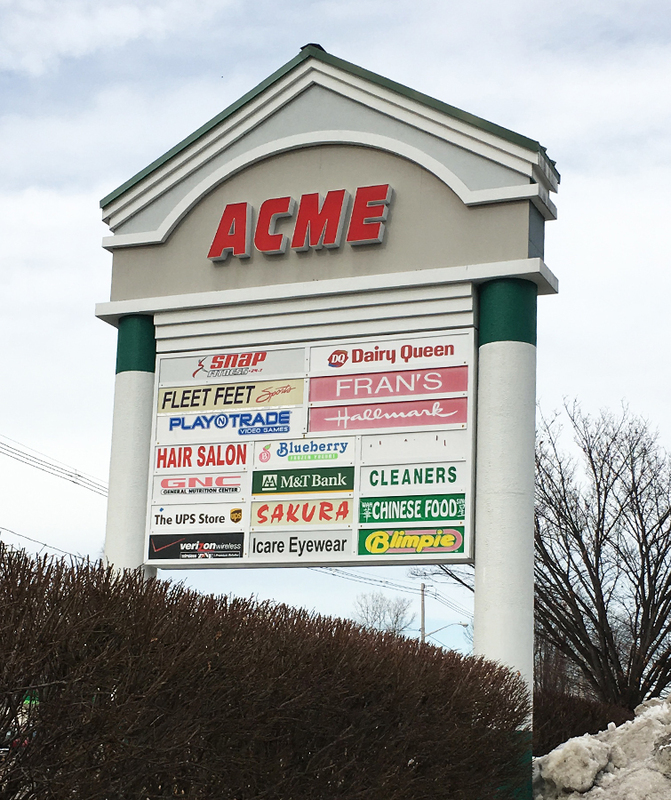 Acme now has a 10 year lease in place as well as plans to expand the 13,000 square foot building. 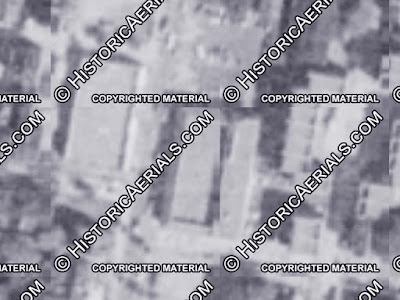 You check out an article on Curbed.com for more details. 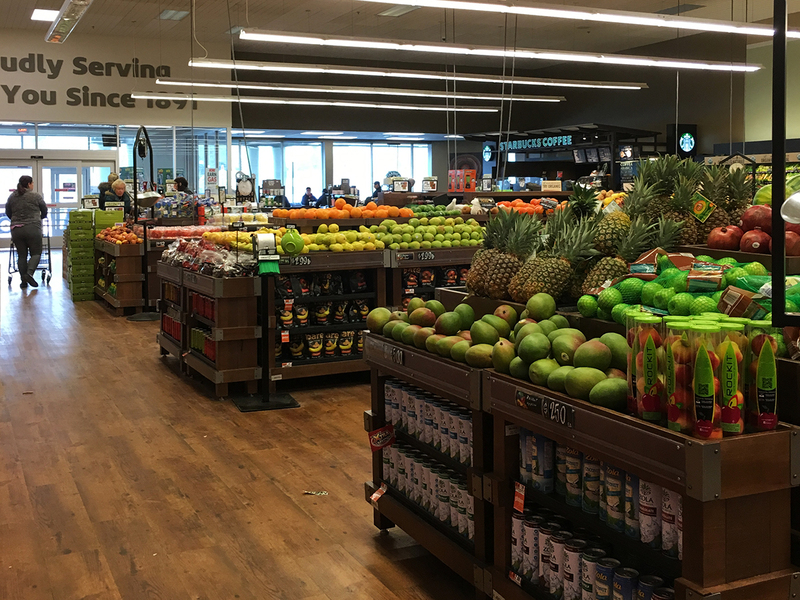 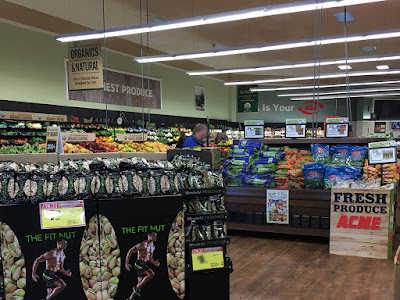 The store has A&P's "funky fresh" remodel. 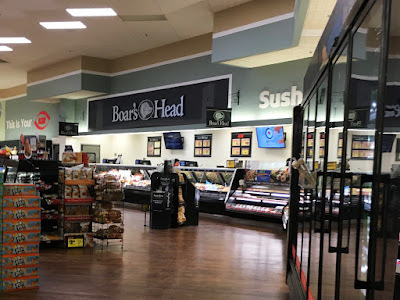 Not an official name, just the one I gave it due to the absurd layout A&P used in the stores. 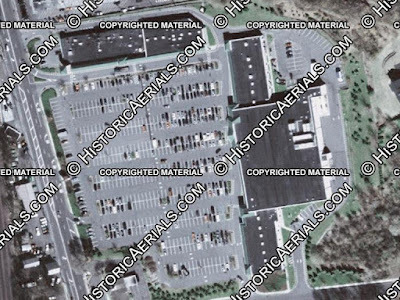 Society Hill kept a traditional layout due to its small size but clearly received extensive upgrades throughout. 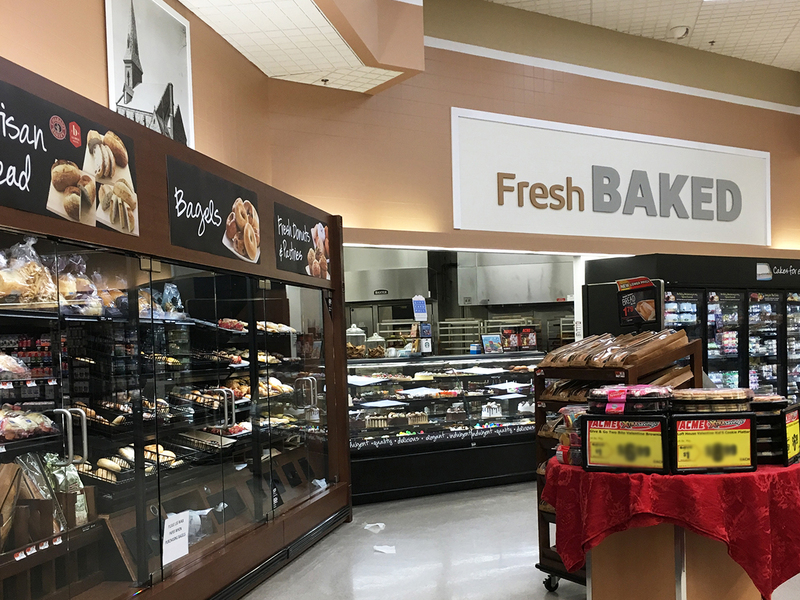 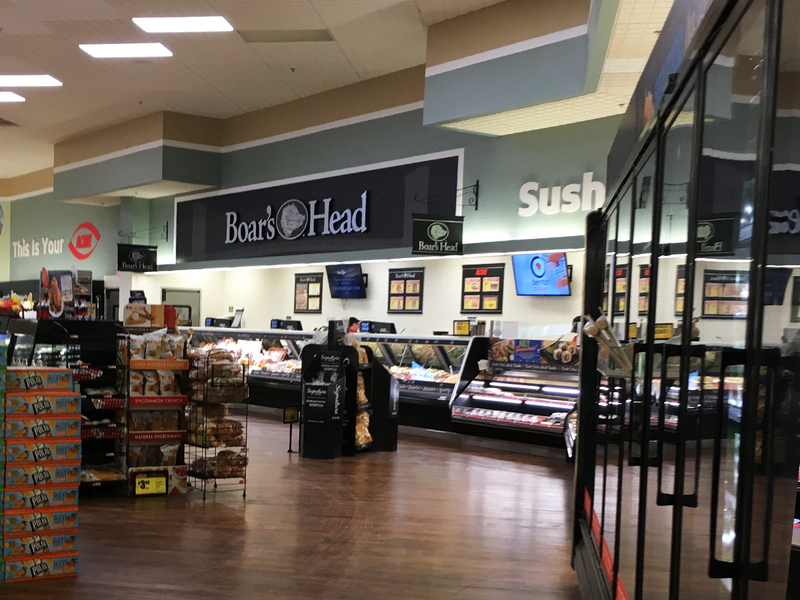 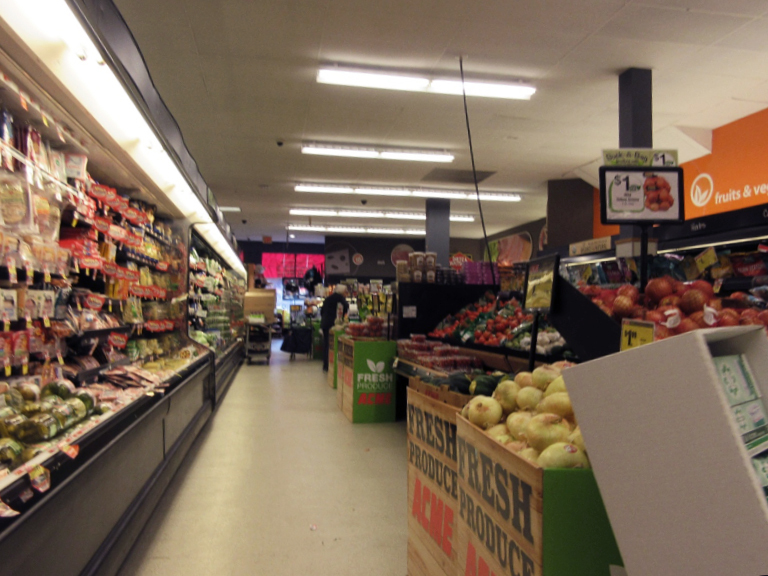 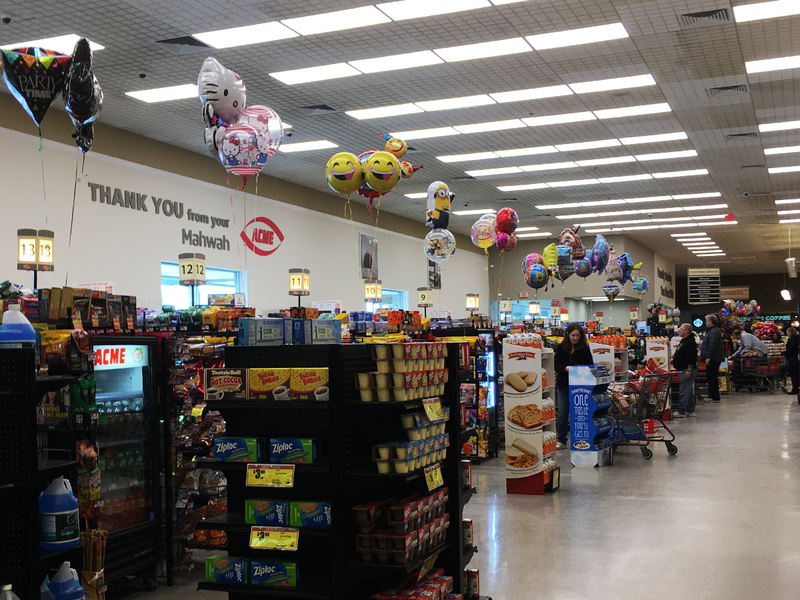 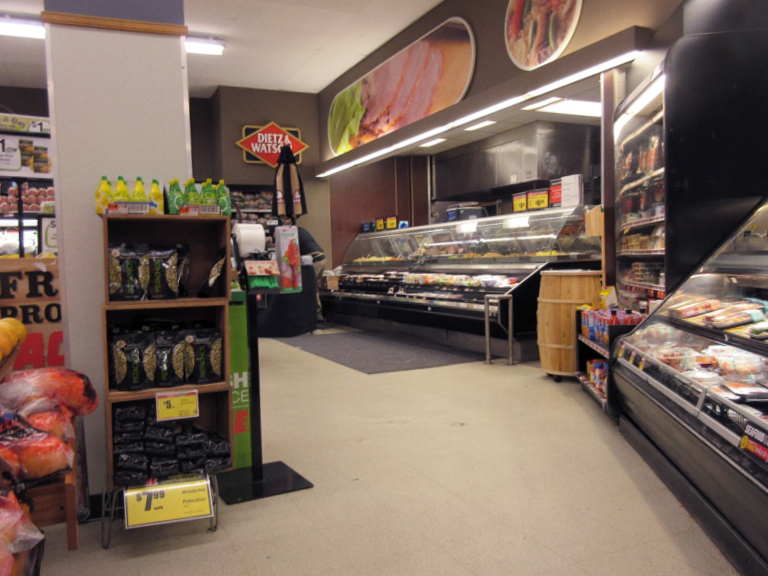 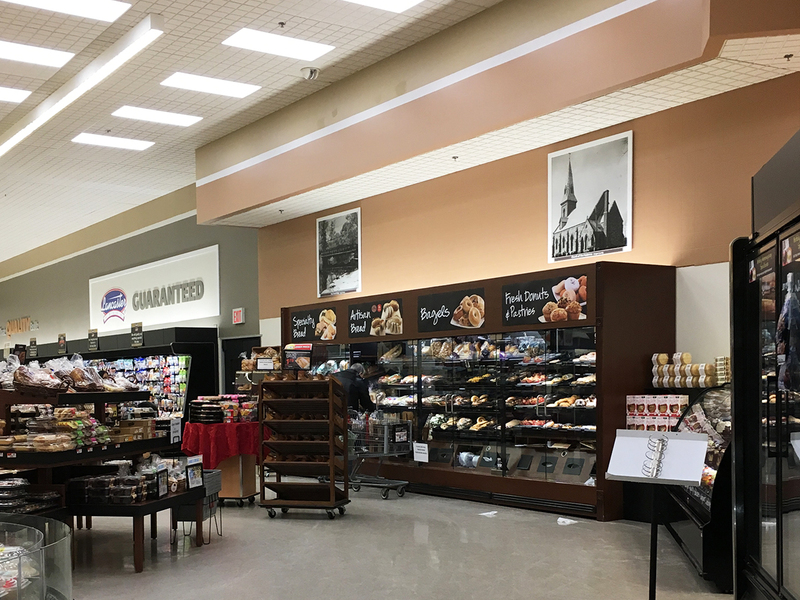 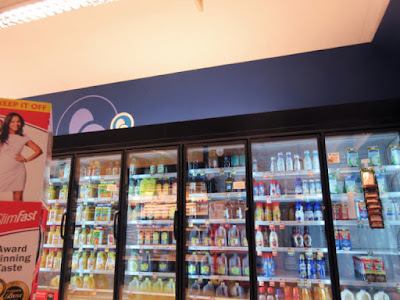 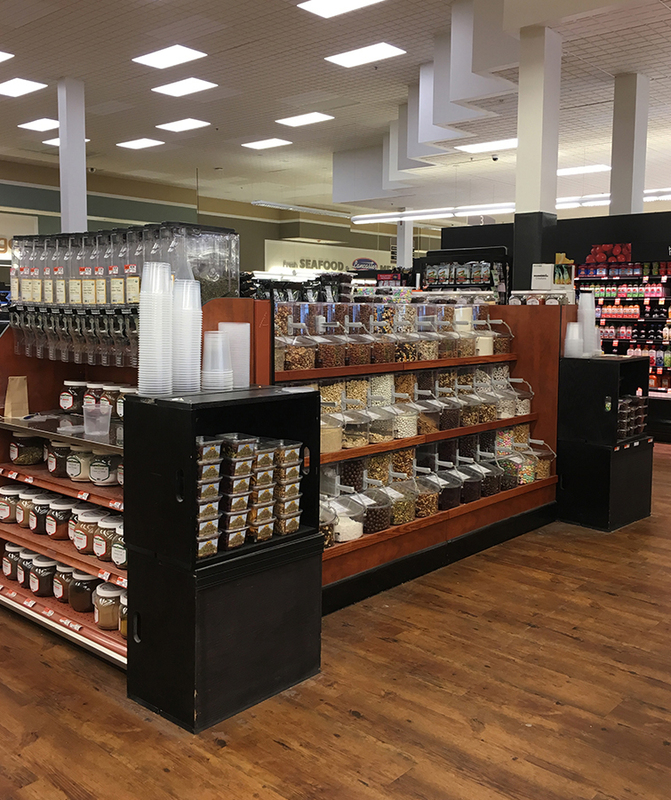 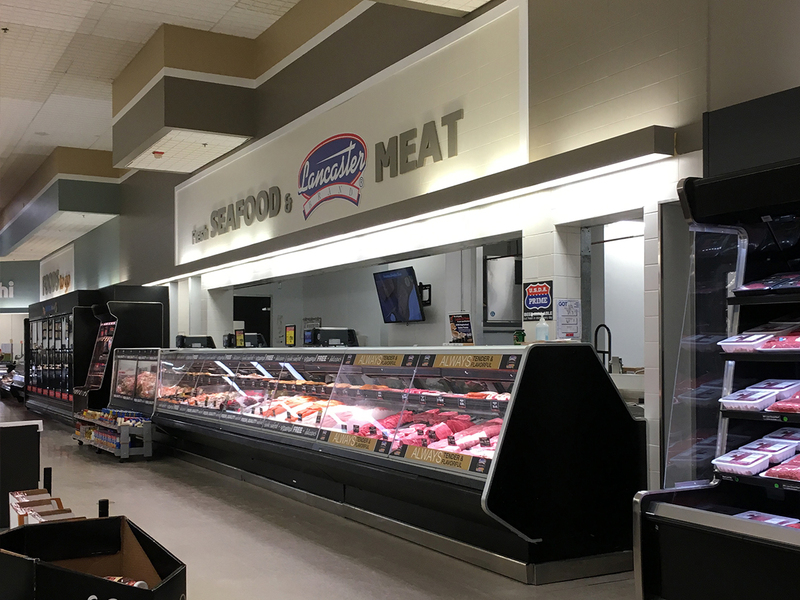 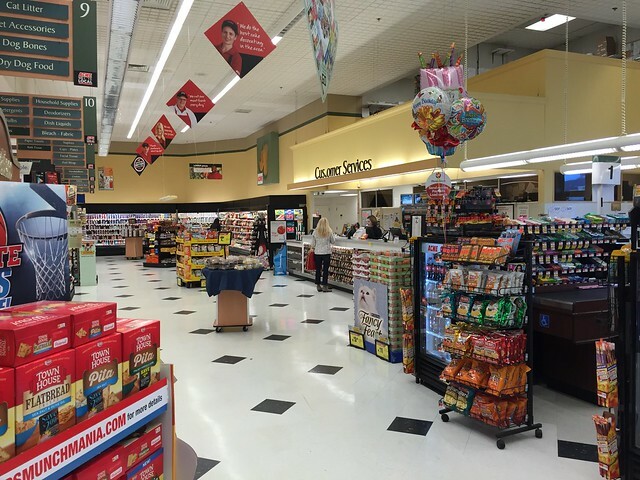 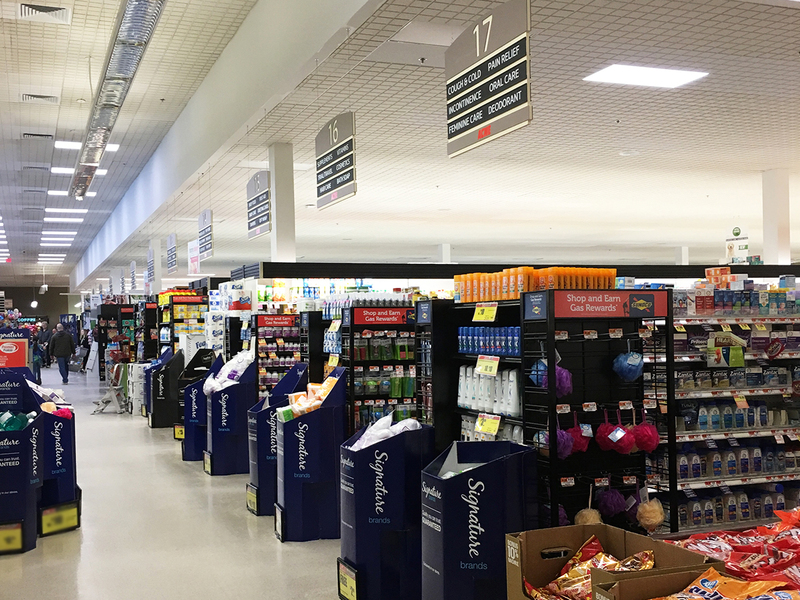 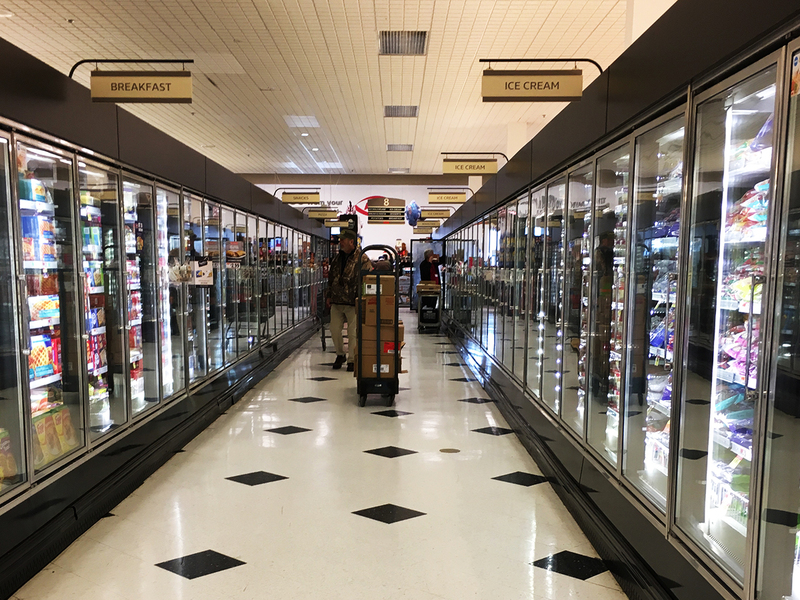 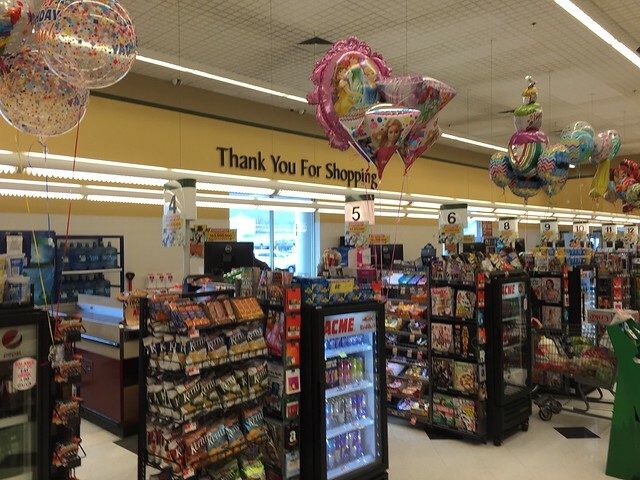 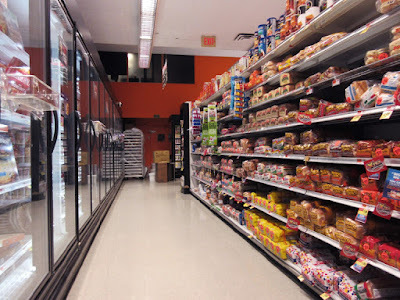 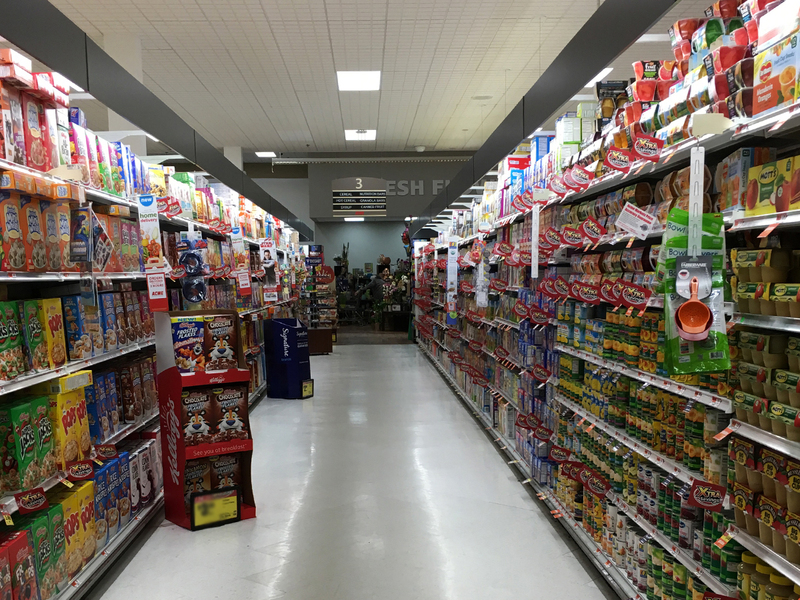 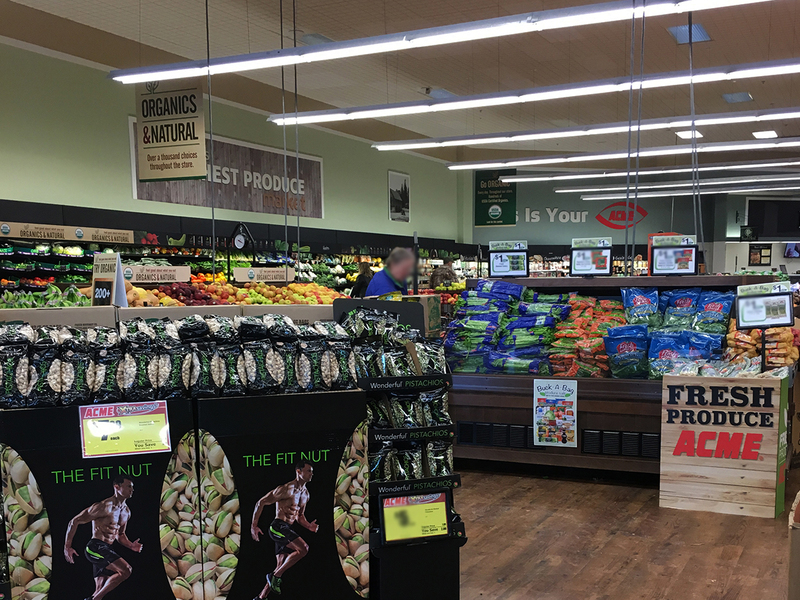 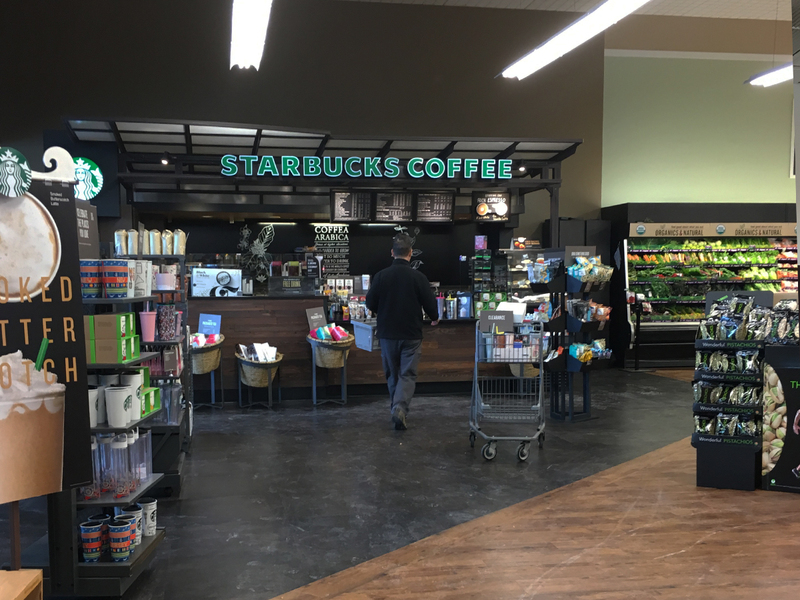 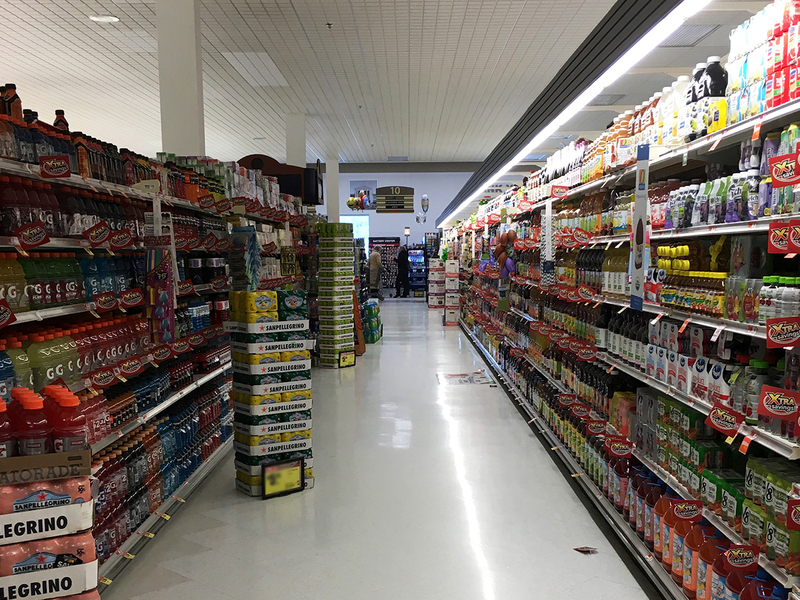 For a look at the official version of this remodel, checkout the Holmdel A&P by clicking here. 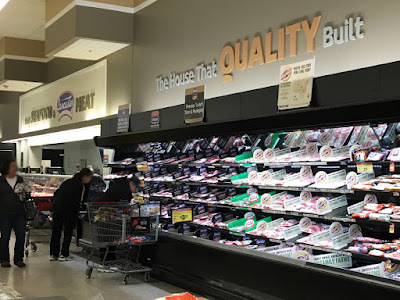 No idea what the condition of the store was prior to the remodel. A&P certainly spared no expense. The ceiling is now white courtesy of Acme. 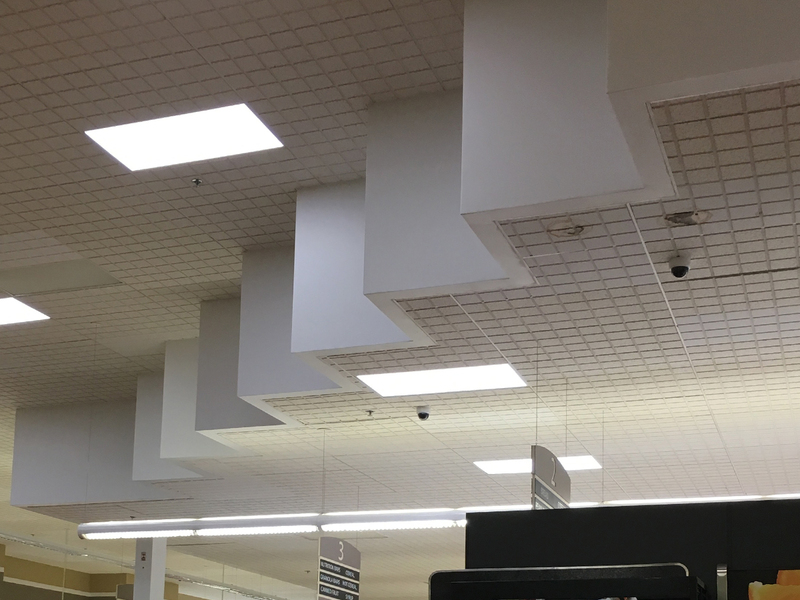 I love the black ceiling. I hate the black ceiling. 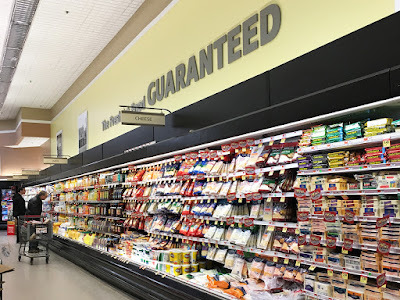 I honestly cannot decide. 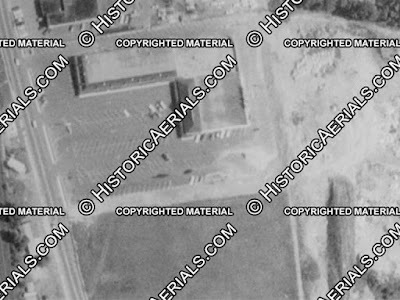 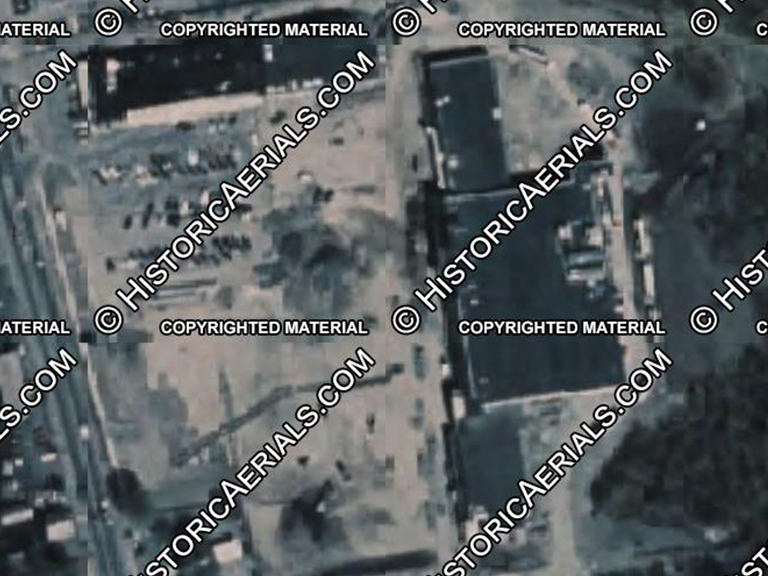 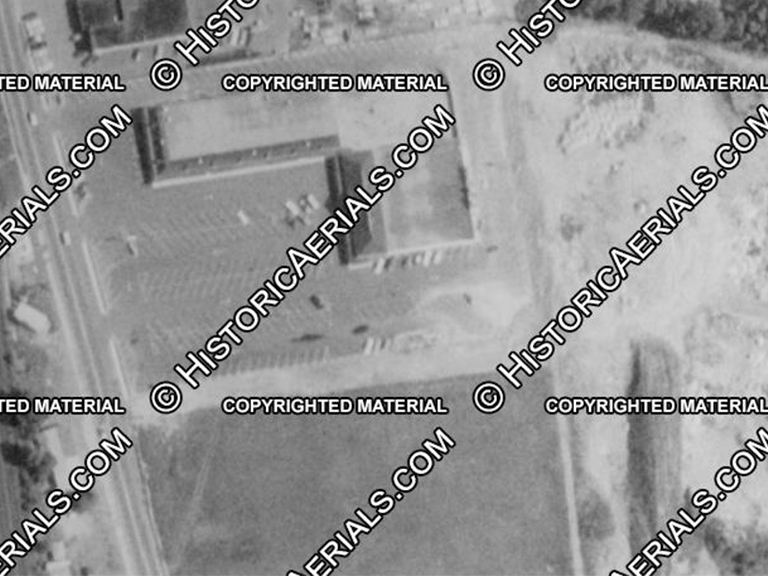 The historic images for this location are pretty terrible. 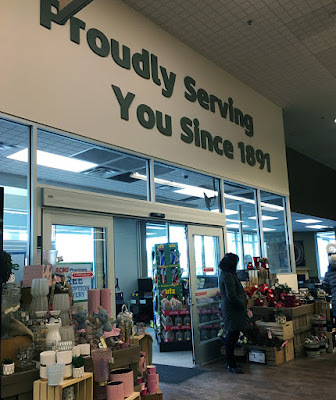 Including just one showing the store had been built by 1979. 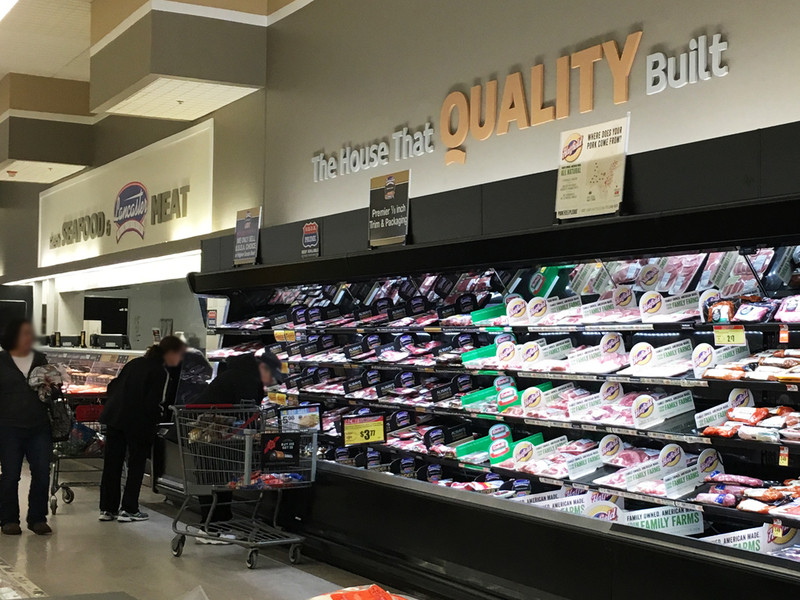 You can check out another interesting article on the property owners website by clicking here. 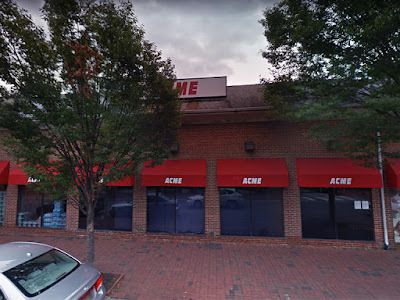 Long live the Society Hill Acme! 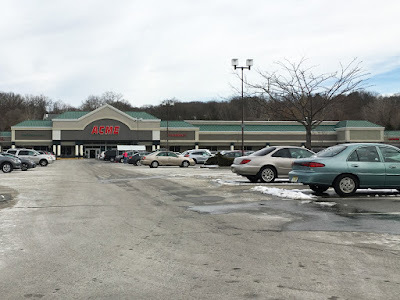 Finally found one... a fully remodeled Acme/former A&P in North Jersey! 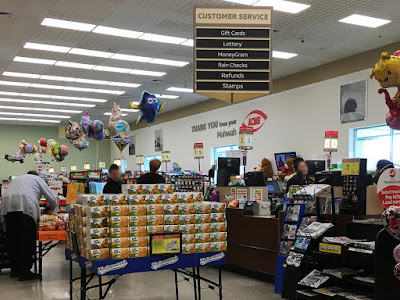 They're not easy to find up here. Most locations acquired over two years ago remain mostly untouched with just a handful getting décor swaps. 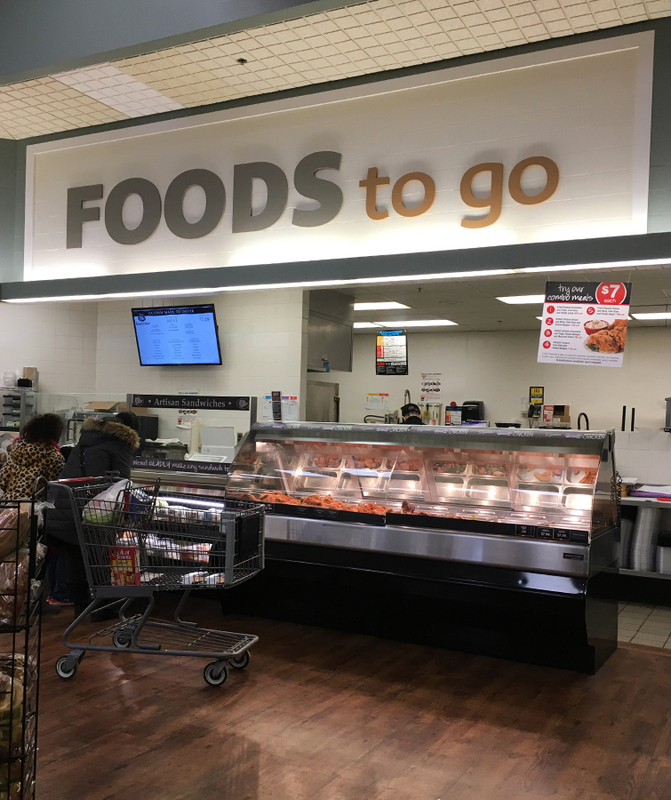 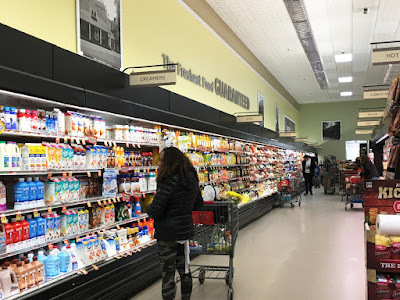 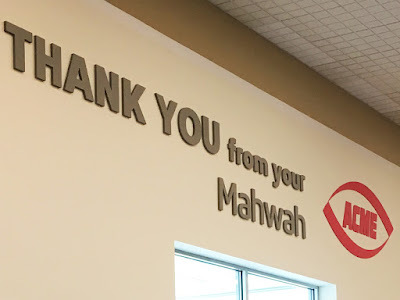 I saw some photos online of the Mahwah store which indicated an extensive remodel, the likes of which have not been seen in these parts. 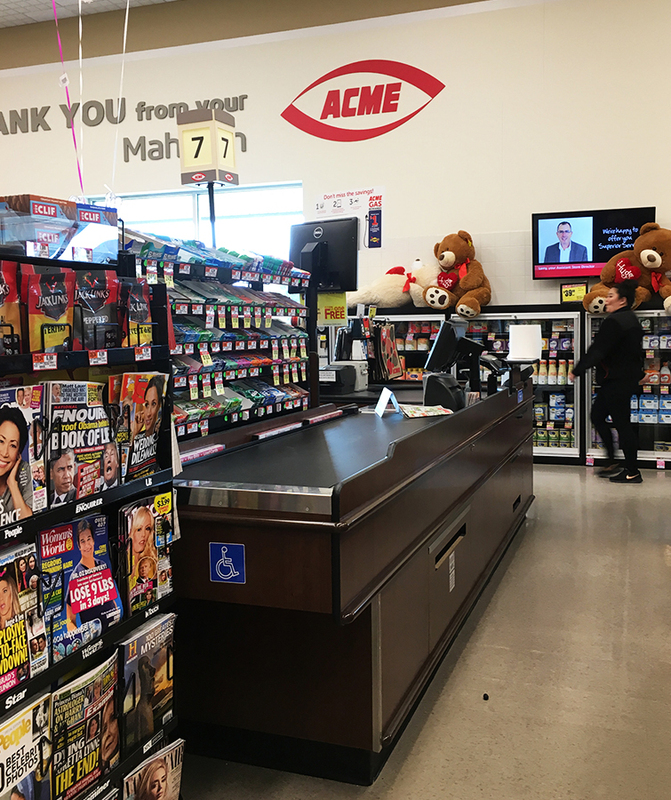 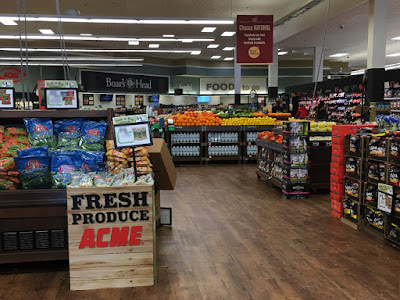 Took a trip here last weekend to see for sure and was pleasantly surprised to find a thoroughly remodeled Acme! 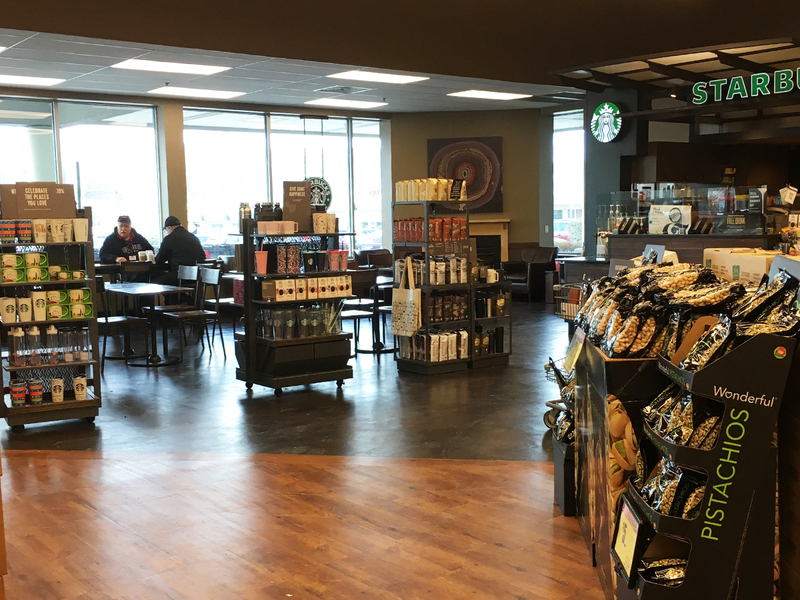 Upgrades plentiful inside and out. This is clearly a very successful location despite being about 5 minutes away from a popular ShopRite. 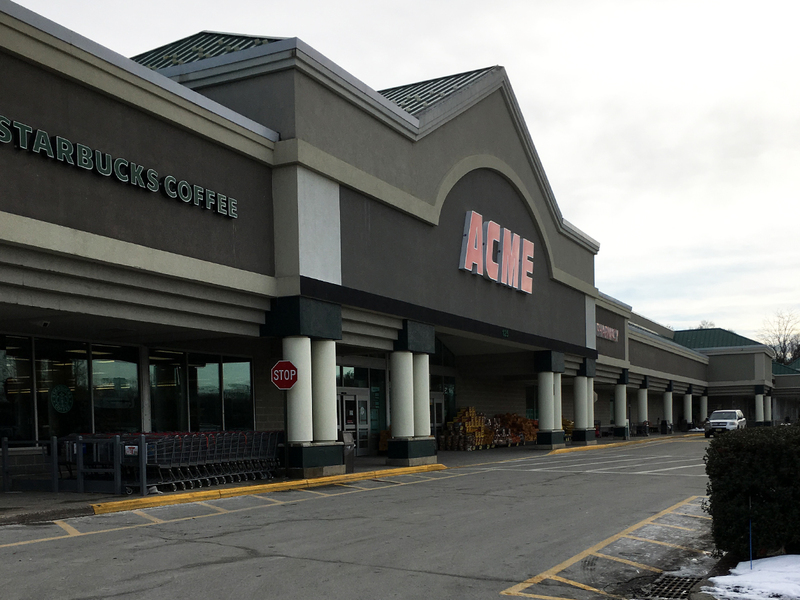 Acme even sprung for enough gray paint for the whole facade! Even has a fireplace in the back corner! New hardwood flooring in Produce. Not sure if the lighting here was changed when Acme took over. 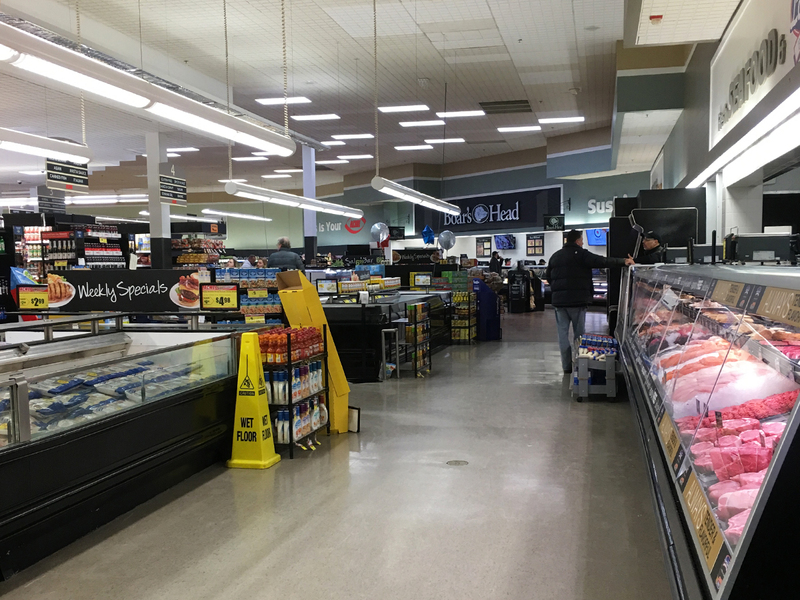 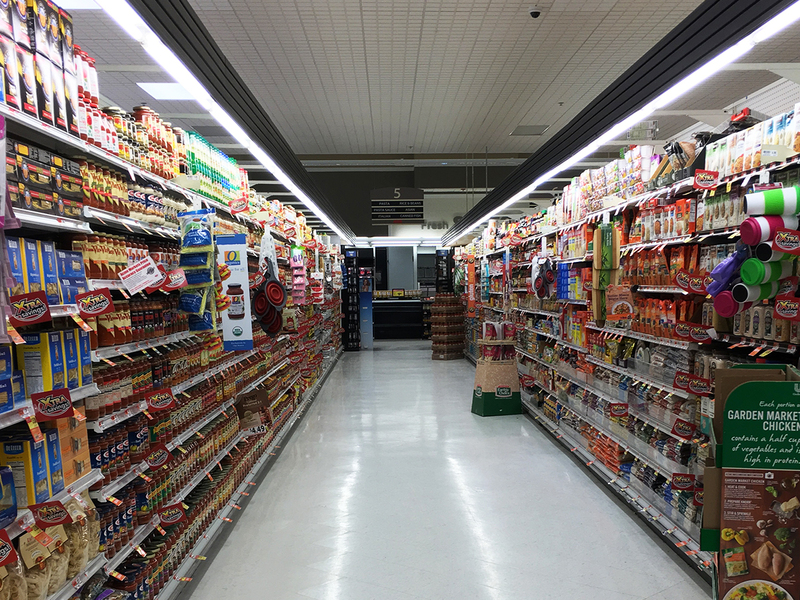 A&P didn't put the spot lights in all of its "fresh" remodels. 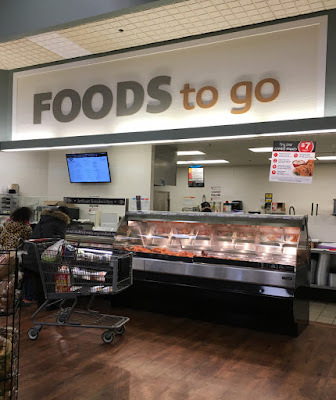 The kerning of "Y" and "o" will drive me nuts til the end of time. It's done the same way in every store and it is completely wrong! 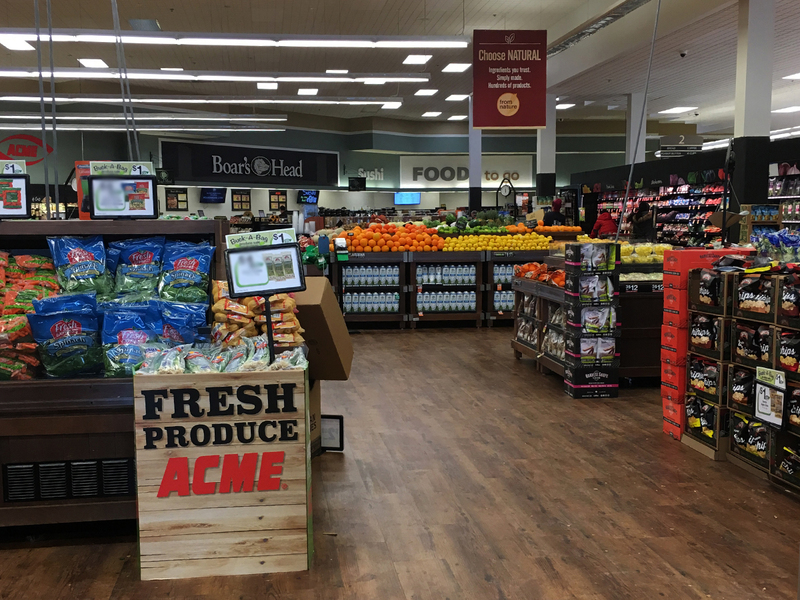 Acme added Produce cases to the right side of the department. 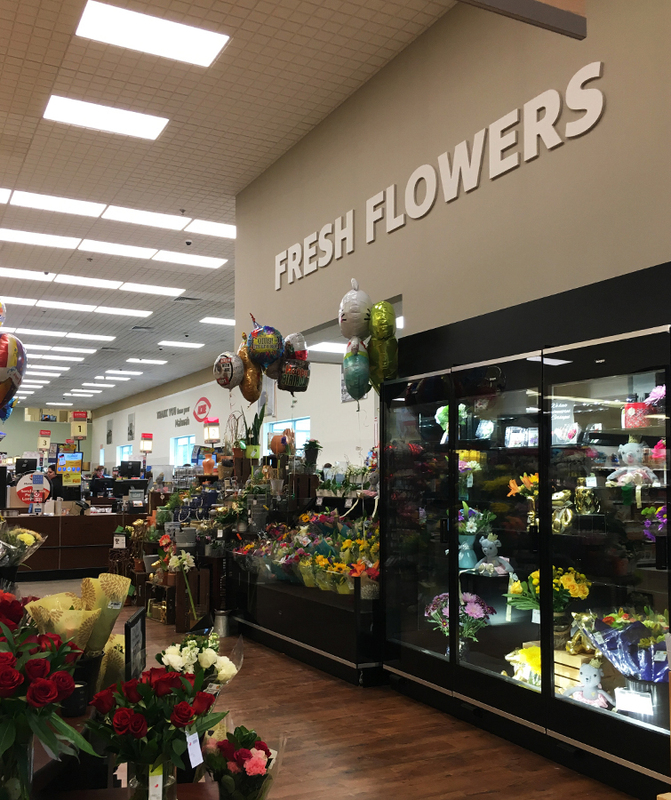 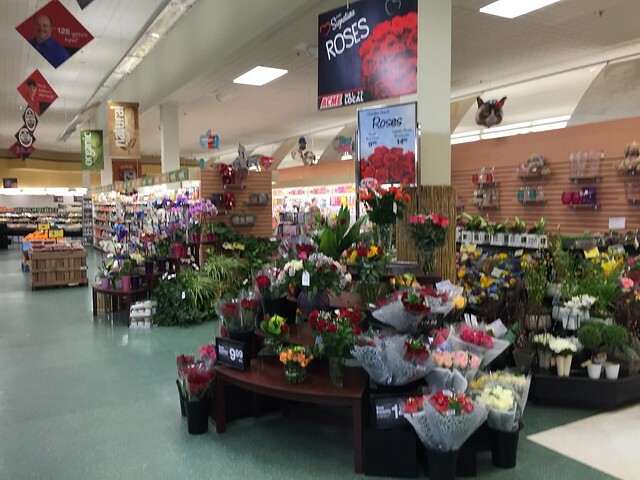 A&P had an unusual set up with Floral and grocery aisles. 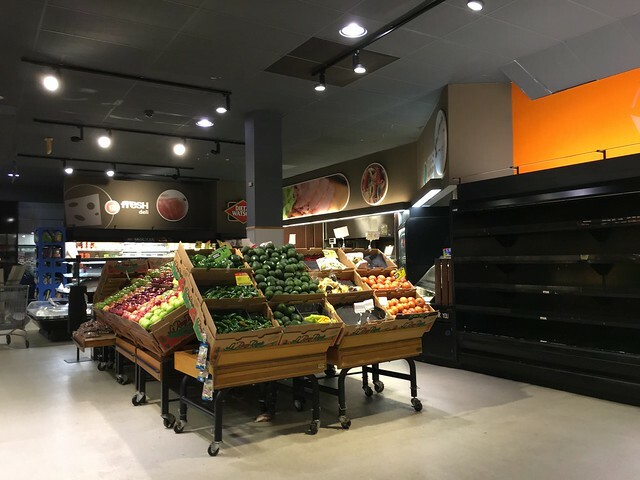 All new wooden Produce cases. The entire front-end of the store has been reconfigured. 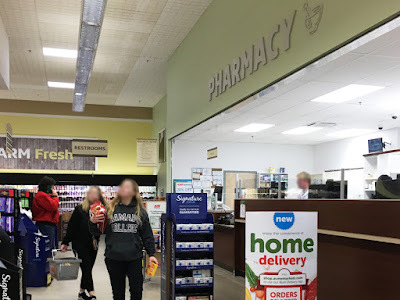 The Pharmacy used to be located in this spot. Bulk Foods! 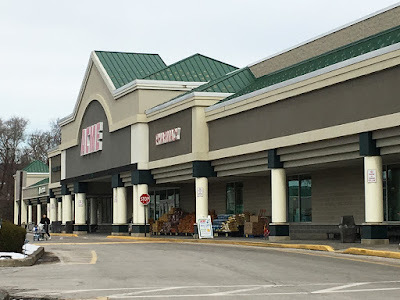 I mentioned in the post for the Suburban Plaza store that these displays are not being added to many of the converted stores. 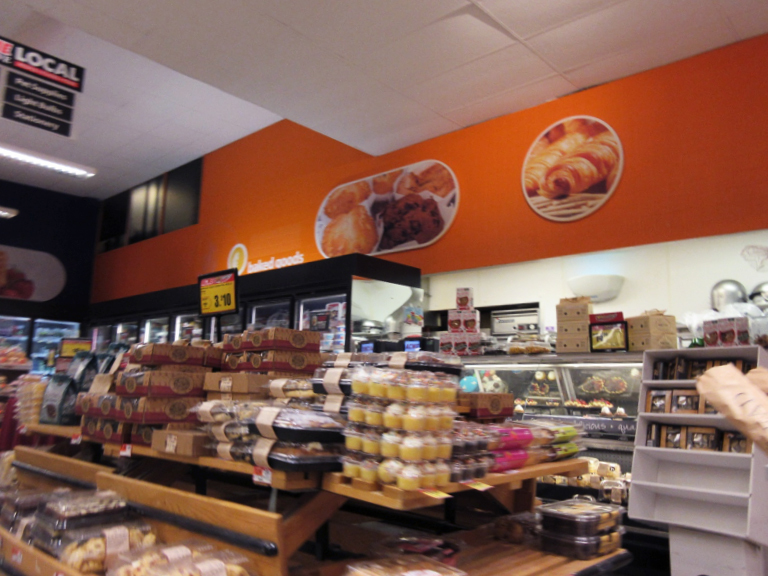 Just love this crazy A&P ceiling! 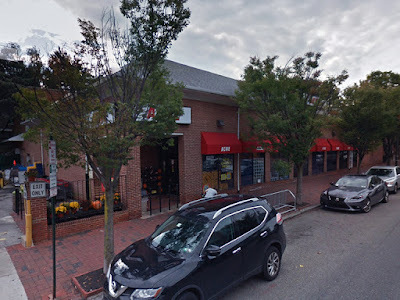 Corner Deli out! 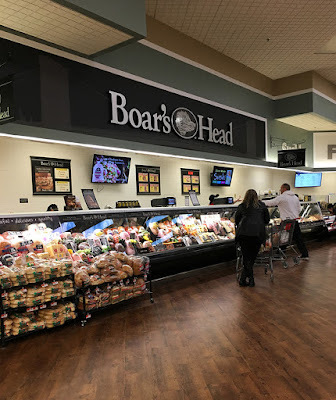 Boar's Head in! The Corner Deli signage was installed here during the remodel but has since bitten the dust. (You can catch a glimpse of it on the store's yelp page.) 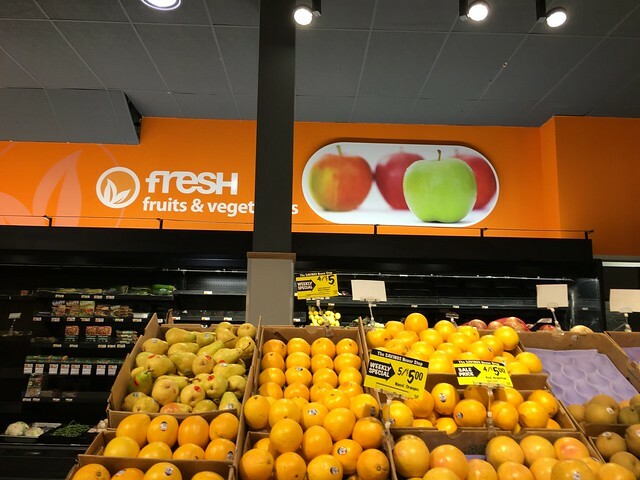 The new signage has nice detail with the Brooklyn Bridge but it's hardly noticeable unless you look closely. 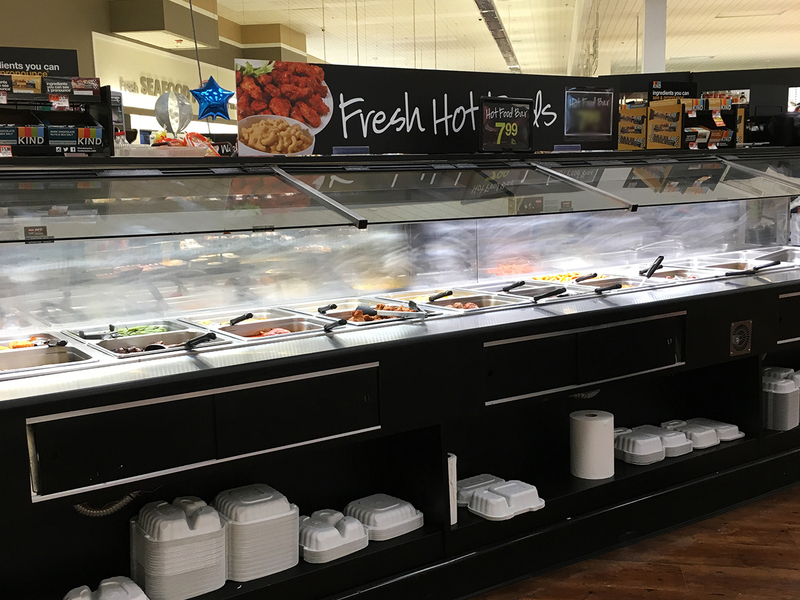 Hot Foods on one side, salad bar on the opposite side. 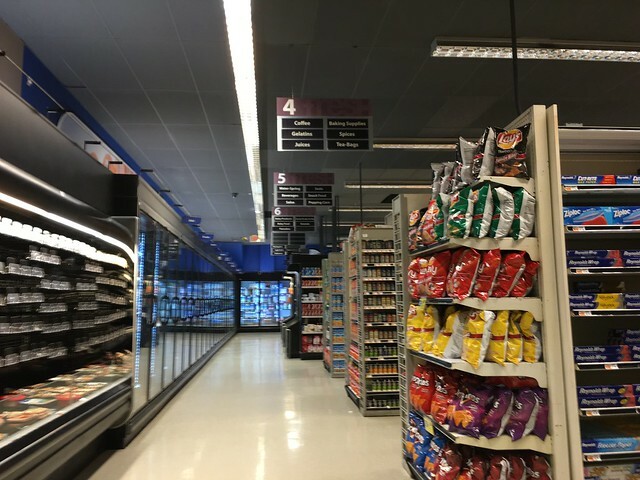 Aisle light covers now all black. 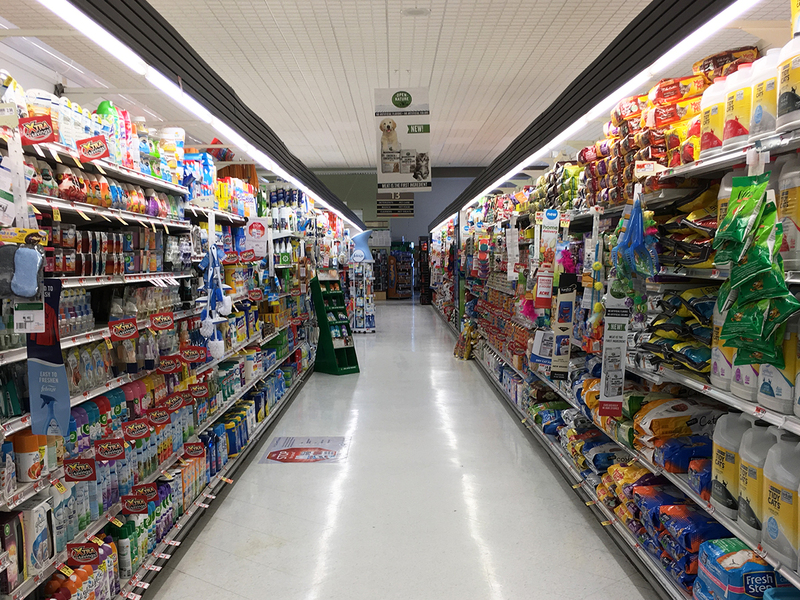 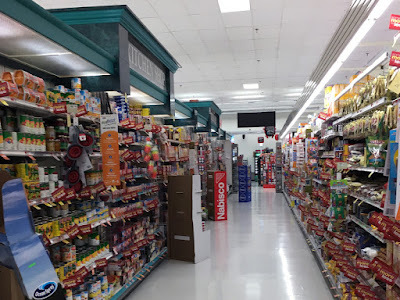 The panels in this aisle are brand-new while other aisles still have A&P's cover but now painted black. 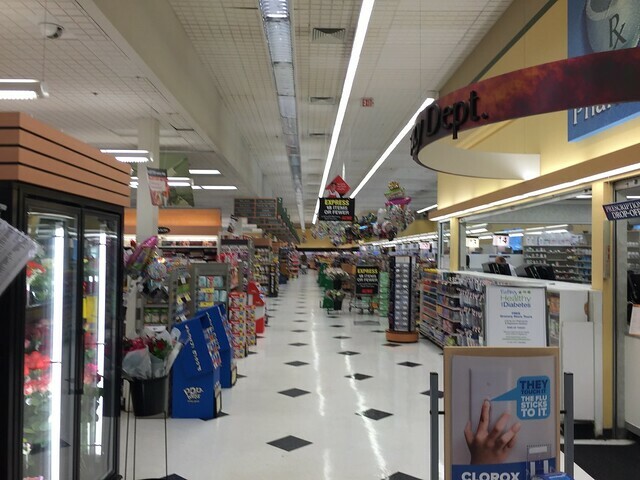 New flooring around the entire perimeter of the store. 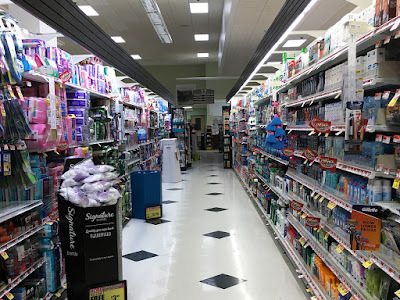 A&P's floors remain in the aisles. 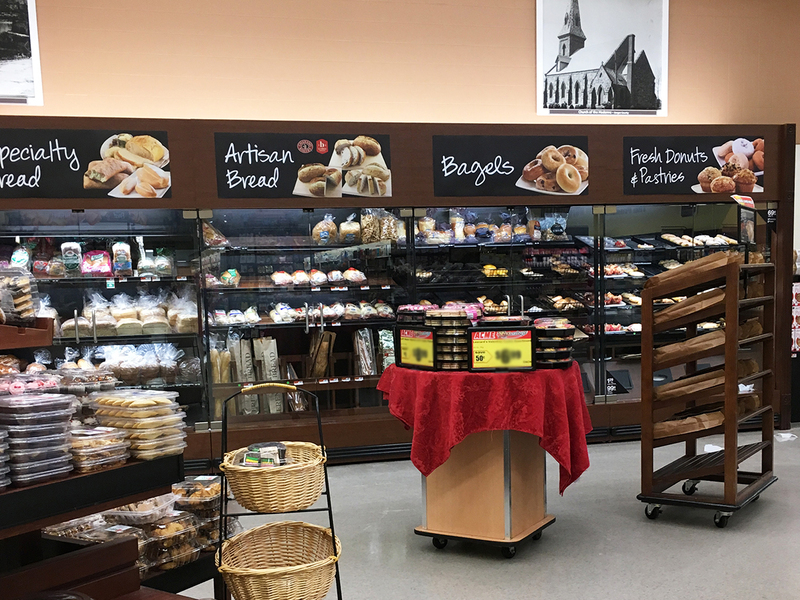 Mahwah even got the deluxe bread displays! 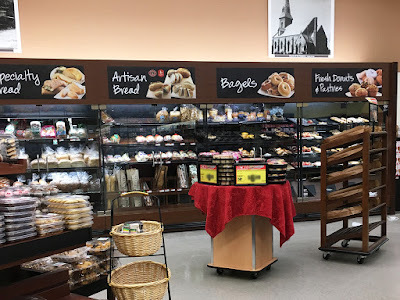 Unfortunately the bread selection at Acme continues to be the worst of any supermarket chain in the state. 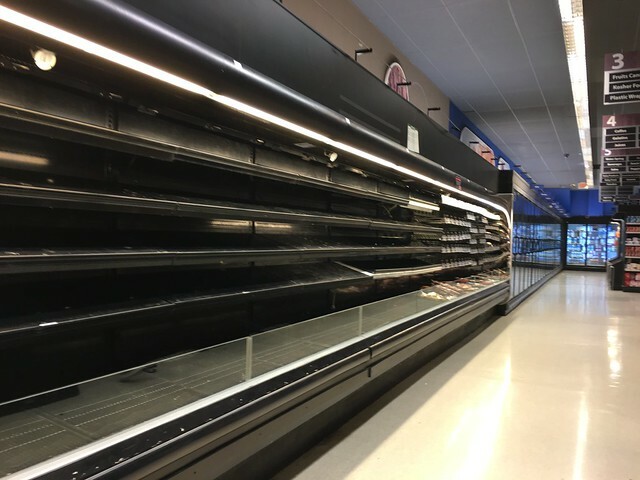 Sorry to keep complaining about it but it's true. Why don't they bring back the ACE breads A&P carried? 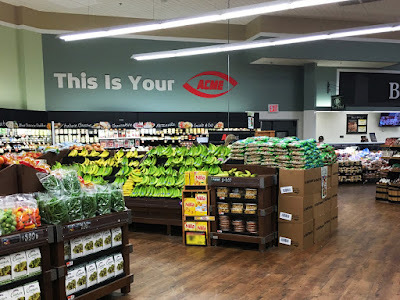 ACE is a "local" brand and would give Acme a unique product not found elsewhere. 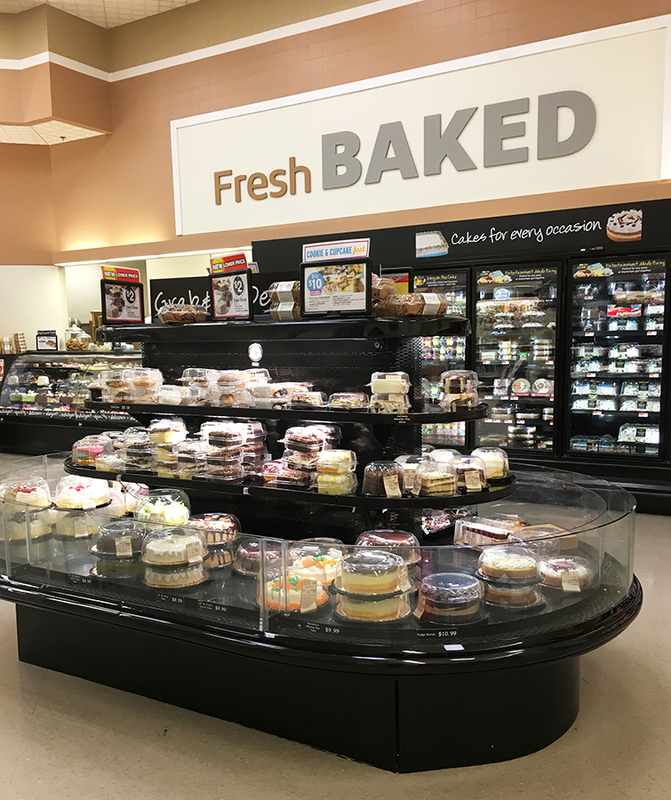 New refrigerated bakery case with a nice selection of smaller sized desserts. Not everyone wants huge containers of baked goods even if they're only 5 bucks. 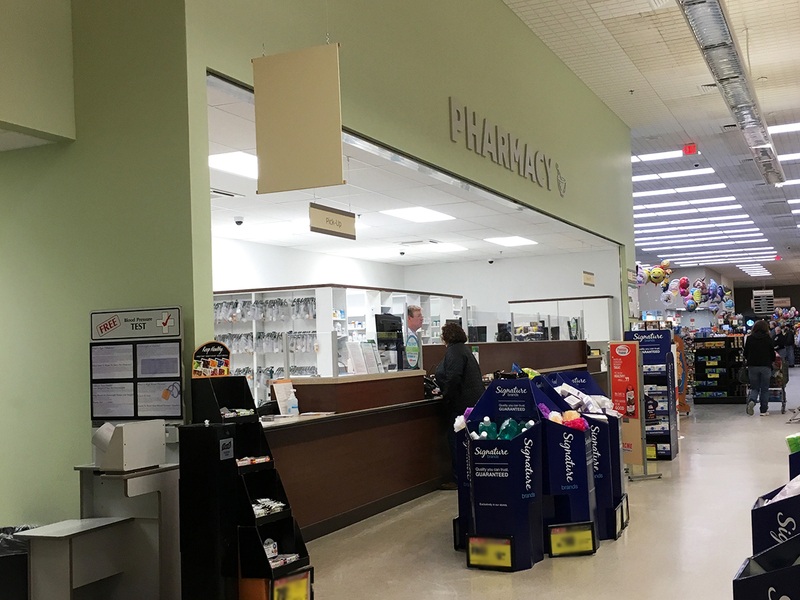 Health and Beauty in half high aisle across from the Pharmacy. Brand new bathrooms too! 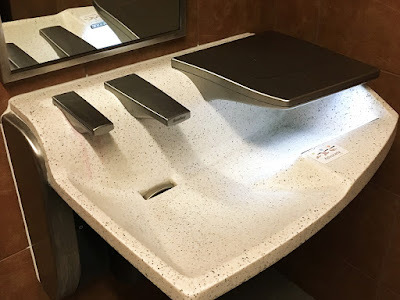 Love these futuristic sinks. Self-checkouts have not been reinstalled. 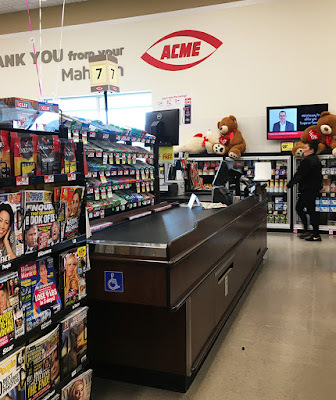 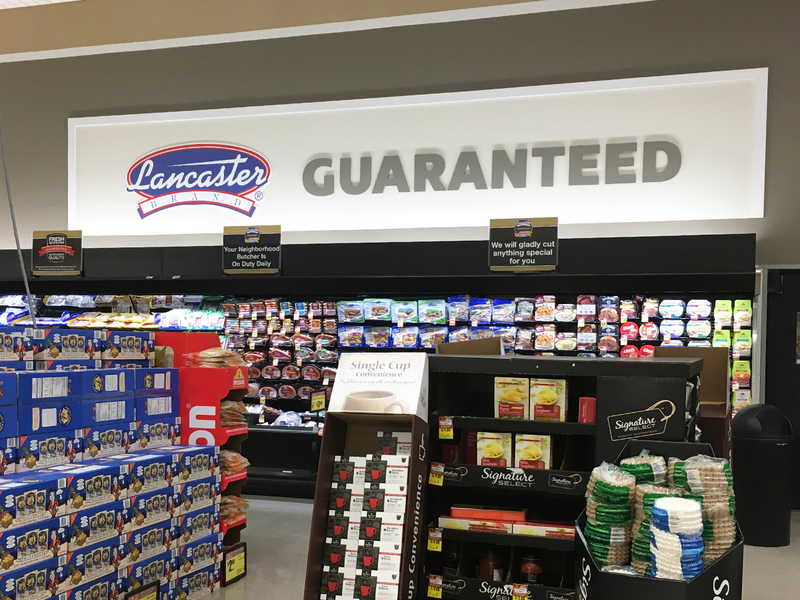 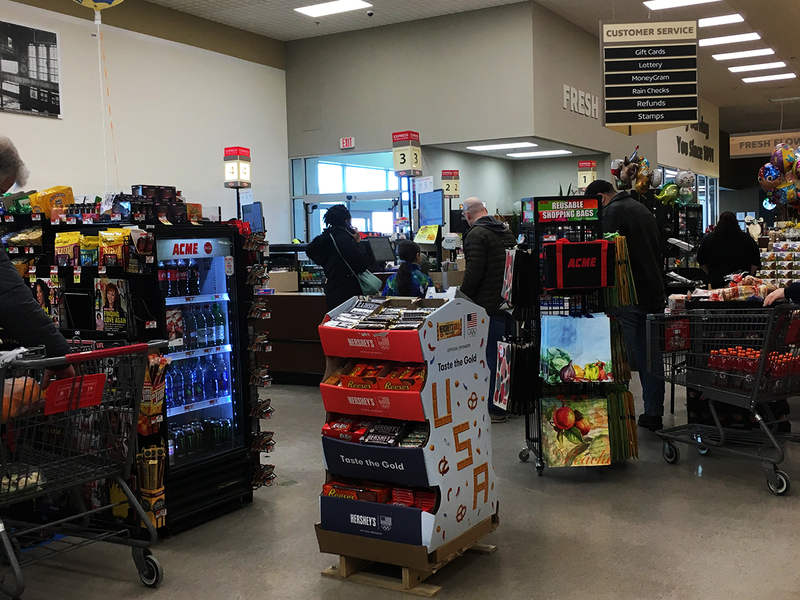 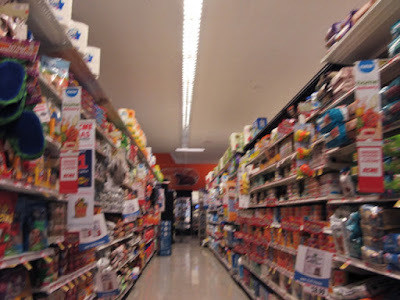 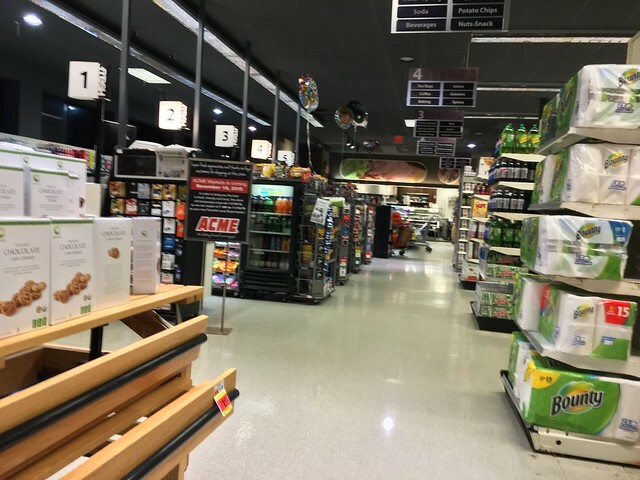 Unlike most Acmes, this store had a large number of employees along the front-end to keep checkout running smoothly. 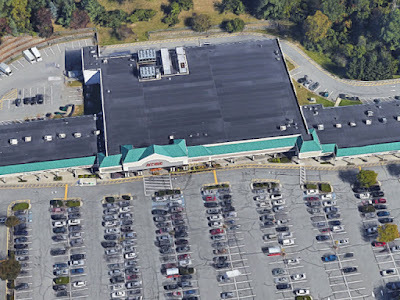 Cool new 3D view on google maps. Bing does not have birds eye view available for this area. 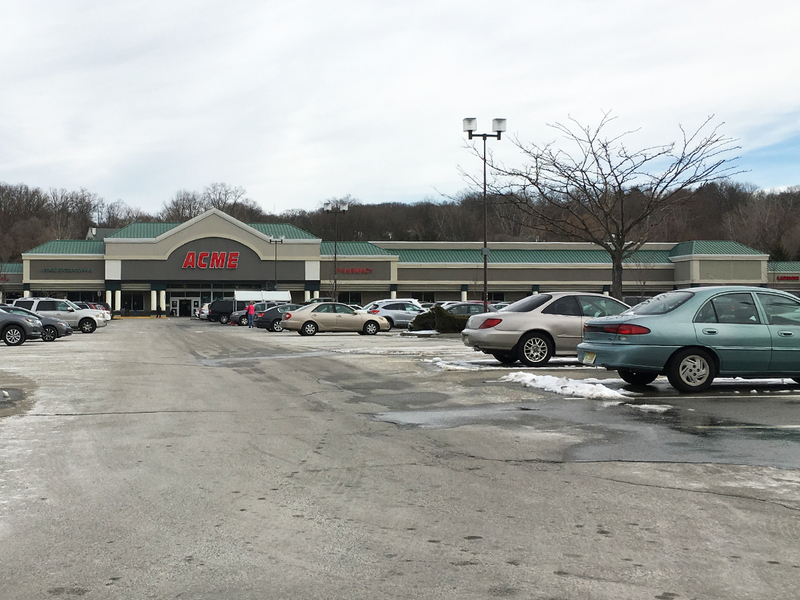 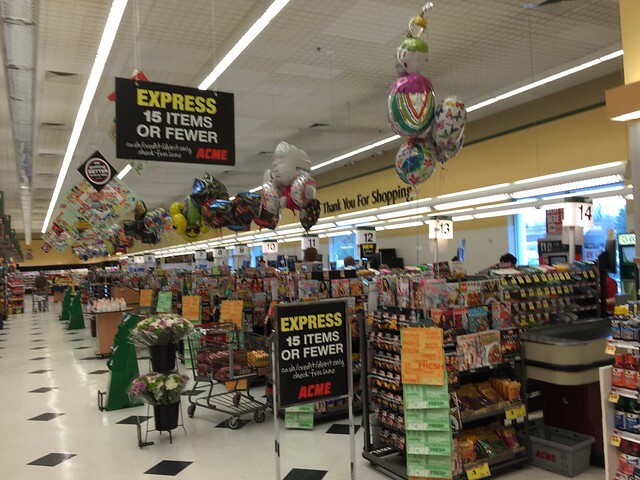 Acme's close proximity to the Ramsey ShopRite doesn't seem to effect business. 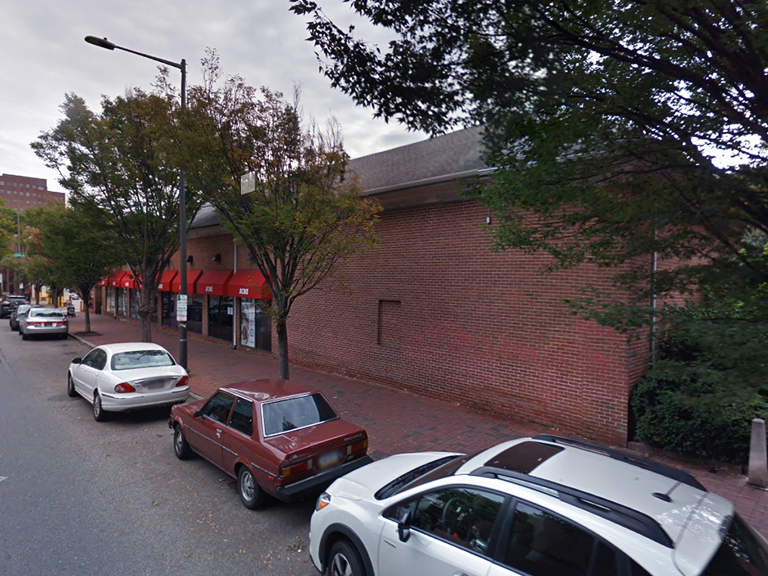 Looks like the new store is just being fished in the image above. 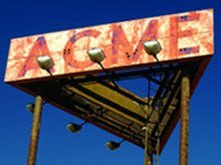 The original A&P has been torn down by this point. 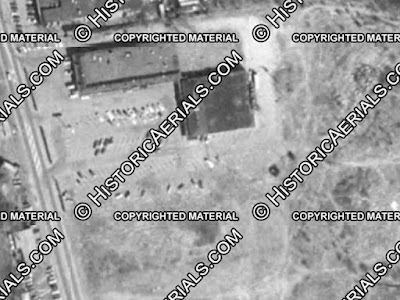 You can see where it stood in the image below. 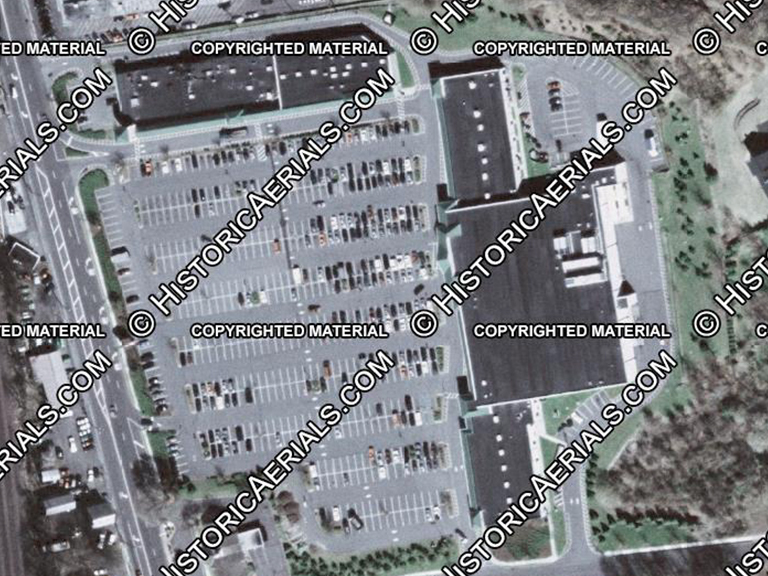 With all that land it's hard to believe the tiny A&P wasn't expanded sooner. 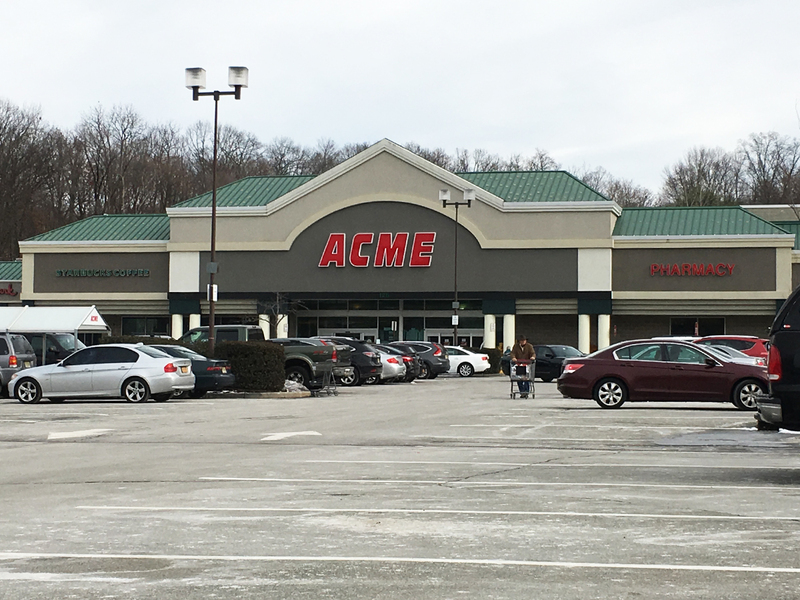 Mahwah has officially been transformed into one of Acme's most premiere locations!